I’ve come across some locks of hair from my great-great grandmother that were in a scrapbook of my grandmothers (and actually from several of my grandmother’s friends from the 1920s/30s). This sharing of hair apparently was a ‘thing’ back then. Anyways — is there a benefit for having ancestors’ hair tested for DNA analyses? I am still very new to genealogy in general and even more green at the ins and outs of DNA. It’s absolutely possible to get DNA from a sample of hair. Scientists have used hair from ancient and aboriginal remains1 and even from a woolly mammoth2 to obtain DNA for testing. But that doesn’t mean you should go ahead and test that lock of hair from your great-great grandmother, because hair poses some problems in terms of what DNA you can get. First and foremost, understand that there are two key parts of a hair for DNA purposes. If you look at the graphic shown here, you see that there’s a lot more to hair under the skin than there is in the part you can see. No matter how long the hair shaft is — the part that you can see — it has much less genetic information than the part that’s under the skin. For DNA testing purposes, the part you really want is the hair follicle — and that’s the part that’s least likely to be included in a preserved lock of hair. Both Y-DNA testing and autosomal testing involve nuclear DNA (DNA from chromosomes inside the nucleus of a cell) while mtDNA involves the mitochondria, which exist outside of the cell nucleus.6 And a hair shaft simply doesn’t contain nuclear DNA.7 In other words, you can only do one of the three types of DNA testing on a lock of hair that doesn’t have a root or follicle attached, and that’s the mtDNA testing. Problem number three is that finding a lab to do the test for you is a little more complicated that ordering a kit from Family Tree DNA or 23andMe. At this point, and certainly for the foreseeable future, none of the usual genealogy DNA test companies will do hair testing. So you’re automatically going to be dealing with a commercial lab, and not every commercial lab will work with hair samples. They’re all going to want to know how much hair you have and how old it is before they’ll give you a quote,10 and you’re definitely going to want to shop around before settling on a lab to do the work. Asking around on the mail lists run by genetic genealogists would be a good way to start — there’s a DNA Newbie list for members of the International Society of Genetic Genealogists, for example, and it’s free to join. Clearly, then, you’re going to want to carefully review whether you have another easier way to get the same information. Is there a person living now who’d be willing to do a current mtDNA test who is a descendant of your great great grandmother in a direct line (your great great grandmother to one of her daughters and on down to today)? Remember that every child has his or her mother’s mtDNA11 so the person tested can be male or female as long as that person’s mother descends in a direct female line from your great great grandmother. If there is such a person, it’ll be easier and cheaper to simply test that person’s DNA. But if there isn’t such a person, then if you can afford it and if you’re are willing to take the risk of paying for a test that may not work, I’d at least consider it. Good luck! Let us know how you make out! Thank you for this information. I’ve been wondering the same thing. I have a lock of hair from a family Bible. My assumption is that it is from the late 1800s – cut from the hair of one of the girls in the family. No follicles. Old. And although I am descended from one of the girls in this family, it is her son in the next generation who is my ancestor. Kathy, it sure won’t give you the information you might hope for in that case. But if there’s no other way to get a maternal haplogroup for that particular family group and if it was important to get that info, it might be worth doing down the line — after you win the lottery! Ha! I’ll keep my fingers crossed for that winning lottery ticket! And share with me if you find it! It appears that FTDNA did at one time offer a service to extract DNA from hair. Does FTDNA still do that? How about other commercial labs? Genetic testing companies encourage the use of cheek cells whenever possible, but that does not stop customers from dispatching DNA in a multitude of forms. For a premium, Family Tree DNA, a provider of the tests, has extracted genetic material from toothbrushes, hearing aids, nail clippings and postage stamps. (Hair remains tricky). But that does not mean genetic genealogy companies want to encourage the practice. Mr. Greenspan invited a bioethicist to speak at the company’s third annual genetic genealogy conference in Houston last fall. “Don’t do anything you wouldn’t do in broad daylight,” the speaker told the audience. The message did not resonate, according to several attendees. “We’re all like, ‘I’d pick up the cup in broad daylight,’ ” one recalled. Thanks, George. I’ll have to touch base to see if they’re still doing this. I would like to know if the hair of a man buried in 1951 would still be useful for testing for mtdna? There’s no way to answer that in the abstract. It’s certainly possible, but there are a number of variables at play and nobody would be able to tell you for sure without seeing the hair sample. Thanks for your reply. I would guess that if you were going to all of the trouble of exhuming a body from a grave, then you might as well try to get DNA from the best possible source, and from my limited knowledge, that would be a tooth, would it not? I certainly wouldn’t do an exhumation just for DNA purposes (well… maybe… my second great grandfather brick wall rascal maybe…) but yes, teeth or thigh bones are best. Thanks for the shout-out regarding the ISOGG DNA Newbie List, Judy! I had my father tested a year or so ago. I knew his test results would not reflect the family name, but the results were a little shocking-he had an ‘exact match’ in a gentleman, a total stranger, who lives across the continent. I did hear from the ‘exact match,’ but he did not offer his genealogical information. I replied to his email but never heard from him (occasionally my email to people goes to their spam folder, which is what I think happened). However, through a bit of serendipity too bizarre to be believed, I happen to learn whose family he descends from, but I dont have enough information about them to determine which common ancestor we share. 1) is there any way to determine from my dad’s DNA test results how many generations back he and his exact match share an ancestor? 2) would my dad’s son and grandsons also be an exact match to my dad’s exact match? Would the exact match carry down through all their male descendants? This stuff gives me a headache. Is there any way to determine from my dad’s DNA test results how many generations back he and his exact match share an ancestor? Not precisely, no. Not based just on those two tests (and I’m assuming here that the DNA test you did was the Y-DNA, male-only test). Testing more members of both families might help shed some light, but remember: Y-DNA can stay the same for many many generations. Just as an example, my uncle matches 67-for-67 markers with two others of the same surname and the common ancestor we’ve identified is likely to have died around 1700! You can definitely narrow the time frame with more extensive testing but it’s still going to be a matter of the odds in terms of just how far back the common ancestor is. would my dad’s son and grandsons also be an exact match to my dad’s exact match? Would the exact match carry down through all their male descendants? The Y-DNA of all of the male descendants of these two men will match each other (assuming no adoptions or other non-paternity events) but might not be exact matches because of the likelihood of small, inconsequential mutations from generation to generation. Your brother could easily be one marker away from your Dad, and your nephews could be one marker away from their father and so two markers away from your Dad, just as an example. Charles, most labs CAN test hair — the problem is that the usual hair sample from something like a locket will only have a piece clipped from the person’s head. That part of the hair shaft doesn’t have the DNA you want — you need the hair root for that. Good luck to you. I too, would like to know where to send a lock of my grandfathers hair for DNA testing. I don’t know of any genealogical testing companies that do this kind of analysis. Keeping a lock of someone’s hair was at one time much akin to keeping their photo in your wallet. Also, there are some amazing hair wreathes to be seen in 19th Century Americana museums that served as funereal memorials or even genealogies, in a sense. DNA or not, something to be cherished as a keepsake. I have recently sorted through my late parents paperwork and memorabilia, and found an envelope that contained my brothers baby curls that my mother cut in August 1958. My brother died 9th May 1967 and I have no other living ‘male’ relative that the ‘Y’ Chromosome could be tested on for my father’s line. Is it possible for a DNA Test to be taken from these curls? They have been kept in side an envelope, which was then kept inside another larger envelope. I have already taken a mitochondrial DNA test for my mothers line, but if there was any possible chance of obtaining DNA for my Fathers line I would be delighted. 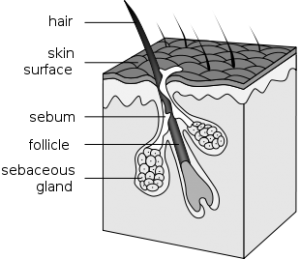 It is very difficult to get testable DNA from a hair shaft (as opposed to the root). You can contact Family Tree DNA through the contact page at its website and see what they would quote in terms of likelihood and price, but understand it won’t be a sure thing. I have a “hair book” from the 1850s. It does appear that they used these much the same as an autograph book was in the early 1900s. The hair I have is tiny braided locks of about 30 different people, some relatives and probably some friends. The names are fairly hard to read. I really don’t know what use they really are except as a curiosity according to what I have read here. Maybe because I am reading this late at night, I’m a little confused. Do I understand correctly that it is possible, but difficult and limited, to extract DNA from a hair shaft? I have my own hair from when I was a kid, and might have a curl from my father. I also have my daughter’s hair from 30 years ago. My interest is a little different and may not warrant a significant expense, but I am interesting in comparing with my hair from 50 years ago with my hair now to see what has changed in my genes. We know that the environment can alter genes, and this interests me. It might also be interesting to compare my hair with my daughters- in which case we have early shafts for each of us, as well as can get current with follicles. My primary interest though, again, is really to see how my own genes might have changed. I would love to hear your thoughts on this. I will, in the meantime, see about pricing out there! Thanks for your well-written, informative blog entry. Will have to read some more! There can be no doubt — from the language of the SMGF website announcement — that the bad (and mostly erroneous) publicity surrounding the Usry case caused the entire genetic community to lose a major and important asset. It will do nothing to protect individual privacy to take this database down. It’s just such a sad loss. Very good analysis Judy! Love your point of view on this follicle info!! I need to make a serious correction to this post. The statement that ‘a hair shaft simply doesn’t contain nuclear DNA’ is patently false. Hair contains highly degraded nuclear DNA that is actually very compatible with modern sequencing methods, all the more so considering that thanks to the ease with which hair can be decontaminated, it is capable of yielding near pure endogenous extracts. During keratinization, two important processes occur affecting both nuDNA and mtDNA preservation: organelles are destroyed, including the cell nucleus but possible excluding mitochondria, and a keratinocyte-specific endonuclease DNASE1L2 is expressed, with the level of expression varying between individuals. This endonuclease cuts nuclear DNA into tiny fragments, rarely in excess of 80 base pairs in length. Nuclear DNA content in hair therefore varies between individuals as a result of the extent to which this endonuclease is expressed. The most conservative statement that can be made based on modern research, is that around 12% of all people have no amplifiable nuclear DNA in their hair above 82 base pairs in size, using 3cm of hair. The rest are estimated to have anywhere between 100pg and 550pg of nuclear DNA per 3cm of hair (that equates to between 16 and 91 diploid nuclear genomes in 3cm of hair). We can expect that most DNA fragments in hair therefore fall well below 82 base pairs in length, but that with sufficient quantities of hair, high-coverage nuclear genomes can be sequenced in at least 88% of all cases, if sufficient quantities of hair are available. Unfortunately, no library-based quantitation study has ever been performed on hair, meaning that in reality, we do not know the true extent of nuDNA survival in hair (all present studies are in essence under-estimates due to biases against small DNA fragments both in extraction and purification stages, and also in analytical phases like PCR amplification). But we know more than enough to refute the absurd statement that no nuclear DNA survives in hair. The average nuclear DNA fragment sizes from the two ancient human nuclear genomes thus far derived from hair are 55 base pairs, and 69 base pairs, with one of the genomes having around 20-fold coverage (fairly good quality, particularly considering the inefficiency of the extraction/purification methods then in use, as well as the harsh bleach decontamination protocol used). A more accurate or relevant statement is that PCR amplification of large amplicons in hair, as is typically used in forensic contexts, is incredibly poorly suited for hair. The majority of people here are essentially interested in ancestry related information based on SNP calling, which theoretically would not be a problem with DNA from hair, though sequencing costs may be around $1000. So please, do not despair. You can sequence nuclear genomes from hair. And do hold your breath, some very important nuclear genomes are likely to begin surfacing from historical locks around the world. Fair enough, based on very recent studies. But let’s be serious here. As you say: “in reality, we do not know the true extent of nuDNA survival in hair” and the only time this kind of analysis can be done is (a) very expensive and (b) only when there are, in your words, “sufficient quantities of hair.” In other words, don’t bank on it — not yet, perhaps not in your lifetime. Tristan, It’s now several years later, and I wondered if you had an update on the science of DNA extraction from hair. We have in our family several locks of hair of ancestors, and it would be nice at some point to be able to extract autosomal and perhaps, Y-DNA, and/or MtDNA from them. Thanks for any information you can provide. Testing hair requires three things realistically: (a) some luck that the hair includes the root and not just the shaft since the root offers the best chance of getting a decent DNA sample; (b) a whole lot of money because you’re going to have to find a private commercial DNA lab that’s willing to do this — the genetic genealogy companies don’t; and (c) a huge amount of luck even if you find that private lab, since many hair samples, even with roots, don’t produce enough for true analysis. If your Native American ancestry is less than 200 years (4-5 generations back), you’re much better off testing yourself with one of the genetic genealogy companies. If a specialized testing company can succeed in extracting mitochondrial DNA from the hair, then it is possible. Be aware however that none of the genealogy companies will do this sort of testing; you’ll need to find a private lab and be prepared for a substantial cost. It’s not something you should even consider if the people themselves can be tested (at much much lower cost). My mother just pasted 2/21/16. I took DNA and from her cheeks, placed in a zip lock bag from hospital. I then refrigerated it. Is it still viable. Where to test?. I had saved my grandmothers cheek sample saved on a swab and saved in an envolope. Ftdna did the test successfully. My understanding of the above posts is that the the foot long, 1″diameter hair of Great Grandmother fair w/o cuticle would not give Sufficient DNA results. There’s no genetic genealogy company that would test it anyway: this kind of testing is done only by expensive specialty labs that would not guarantee results. Most hair items i.e. wigs, extensions, weaves etc. use human hair. However the hair is subjected to an acid wash to remove the cuticle layer of the shaft to prevent tangles. Would hairs from these items still be suitable for mitochondrial DNA even with the most outer layer stripped? You’d have to ask a specialty lab for help with that one — there are no genetic genealogy companies that do hair testing. I have reason to believe that my father is not my biological father. He passed away about 5 years ago.I asked the funeral home to take some hair from him. Now, from what im reading, it is best to have the hair folicalle. I have 1 brother & 2 sisters. Can I tell from DNA testing of one of my siblings and myself to determine if my “father” is my true father? Testing hair is expensive and can only be done through a custom lab, with no guarantees that the hair will produce DNA that’s usefull. However, testing yourself and a sibling using the inexpensive autosomal tests available through Family Tree DNA (Family Finder) or AncestryDNA or 23andMe will prove whether you are full or half siblings. If you turn out to be half siblings, then testing paternal cousins will establish who is related to your father. Judy, please be sensitive to how important this DNA testing is to some people. I’ve read in several (many?) of your messages that this testing is expensive… okay, we got it, but you have to understand that people have the strong desire the get the hair tested, EVEN IF testing costs in excess of $1000. Please stop limiting people by telling them “it’s too expensive”. We got your message and want to spend the money anyway because confirming ancestry is more important than having the $1K in the bank and not knowing. It’s not just that it’s expensive. It’s that it’s often a waste of resources because (a) there isn’t enough DNA in the hair to produce a workable sample and (b) if there is enough, what’s there isn’t the type of DNA needed for genealogical purposes: it can’t be used in genealogical databases to compare to other living people. Spending that same $1000 you posit to identify and test living people whose results are genealogically useful is a better choice in the vast majority of cases. You may want also to check with the Pathology Department of any hospital in which your father was hospitalized if it was in the last decade. Tissue samples are taken and preserved from those who die there or had serious operations. Various hospitals have different protocols for the length of time these are kept.They can vary from 5 to 20 years. Any department other than the pathology department may not know of this practice and likely will deny that such samples may exist. Testing is likely to be expensive but sometimes this could be worth it if the next of kin is agreeable. My sister got our father’s DNA before he died in 2012 and sent it to Ancestry. She received a kit # which she misplaced. Is there any way I can get those results since I had my DNA done by Ancestry as well? If your father died before November 2012, his test — if it was at Ancestry — is probably not going to be an autosomal DNA test, since that’s when Ancestry opened its autosomal DNA test to everyone. And the reference to a kit number makes me wonder if you’re sure this was at Ancestry at all. What does your sister remember about the results that she was able to see? locket of hair. Next step: Find a company that will do it. We are struggling with this; is there a list some place of available commpanies? We have not been able to find such. I am not aware of any company that does this and none of the genealogy companies do. Hi, I have a slightly different question regarding hair DNA. I have a similar need to determine if my father is truly my biological father. I have read a lot of the information in this forum and therefore understand the issues involved. However, it dawned on me that my father used an electric shaver. I use one as well and when I empty/clean my shaver there are tiny hair clippings but there is also some dust like particles and some lint like material. It seems to me that lint like material is probably just lint, but the dust like material might just be dead facial skin cells that come along for the ride when shaving. I would like to know if the material that collects inside an electric shaver might contain enough facial skin cell material to make mtDNA testing feasible? I have not seen this discussed in any forums, but just might open a new window of opportunity for mtDNA testing. Thanks in advance. No genetic genealogy company will test anything like that. You’d have to contact specialty labs (and pay their price) even to have it attempted. Again, you’d be better off getting that information from the testing company you select. None of us genealogy types can give you any real insight on this. When was DNA testing of hi used in court? My grandfather was left on a church step as a newborn in the late 1800’s. We have no idea of his heritage. My mom is his only surviving child but there are many cousins, adult children of my mom’s siblings. We just found locks of his hair that were kept. Is there a lab that will test his heritage / genealogy line from locks of hair, no follicles. Only specialty labs, at considerable expense, will even attempt it. You’re much better advised to have your Mom tested for autosomal DNA (the kind of test offered by AncestryDNA or under the name Family Finder from Family Tree DNA) and try to find kin that way. Hi i was wondering what can i do my mother have her sister hair and the support to be sister from the same father but i guess a true come out and now she wondering how can she get her and her sister hair get tested to see if there sister can you please help me on what can we do thank you..
No genealogical testing company will test anything other than a regular sample. You will have to find a specialty lab to do hair testing. What company will do a nuclear DNA, or Y-DNA? I’m interested in getting my father’s DNA, as we have our mothers. The only company that does YDNA testing for genealogy is Family Tree DNA — and YDNA tests are on sale right now! Ms. Russell, thank you for fielding all our (sometimes repetitive) questions. My case is unique in a historical way. My Grandmother died in 1929 of scarlet fever (born 1892). We are descendants (as the family lore goes) of Quanah Parker. At that age she could be the daughter of Cynthia Ann or possibly her granddaughter. Our genealogy info stops with my Grandmother. I am an amateur archeologist and it would mean the world to me if I could get this verified from a portion of her hair after all these years. You’ve already warned me (us) of the cost and the low probability of success. The question: If you were in my shoes would you attempt to have this done just for the historical data (I’m not rich but I could save enough to eventually get it done). Thank you so much for your expertise, time and answer! Bob, you have two issues here: (1) verifying your relationship to the Parker family and (2) doing so with DNA from the lock of hair. The lock of hair is problematic: most hair locks were cut and don’t have the roots, so have little if any nuclear DNA. That’s the kind you’d need for much of the relationship testing. Then there’s the additional complication that none of the genetic genealogy companies test hair samples, so you’d need to find a private lab to do the testing. And if that’s not complicated enough, you also would have to find a member of the Parker family to test against. Which brings you back, really, to verifying your relationship, and doing so through paper trail research. You’d likely have to find the history of Cynthia Parker’s parents, siblings and their descendants just to have someone to test against, and if you can do that research, you should be able to do your own line. So… not sure this is worth it. My father has recently passed. He is being prepared for cremation. I’m not even sure of the process has begun. Suddenly the family has realized that we want to find a way to test his DNA. If we can get hair with follicle, who does that type of DNA testing? I am female and was adopted. Through ancestry, I have connected with my paternal cousins. We are trying to figure out if I am related to them on their mother’s side or their father’s side. All of their uncles are deceased. They have a childhood hair sample from the person they think is likely my father. Could a hair test (just surface hair) provide more specific information so we could determine if the hair sample belonged to my father? It’d be a whole lot easier if the autosomal DNA of your cousins could be analyzed to see if you have matches in common on their father’s side or their mother’s side. Hair testing where there’s no root is likely to be both expensive and inconclusive at least now (save that hair sample, however — the answer may be different in the future).